Some facts seem clear enough. Ten innocent people lost their lives in Toronto yesterday and 15 were injured when Alek Minassian (pictured above) drove a van into pedestrians at Yonge Street between Finch Avenue and Sheppard Avenue. One witness told City News that the driver was “hitting anything that comes in the way”. “People, fire hydrants, there’s mail boxes being run over,” said the unnamed man, who said he was driving behind the van during the incident. As the van continued, the man said he sounded his horn to try to warn pedestrians. “I witnessed at least six, seven people being hit and flying in the air, like killed, on the street,” he said. The Police have stated that it appears the pedestrians were deliberately targeted and we know that Minassian was subsequently arrested. Beyond that, the details become murky and the authorities cannot, or will not, say if this was an act of terrorism. This is strange because the Police do state that he deliberately drove the van into the pedestrians and yet they can’t be sure if he was terrorising them? Seriously? 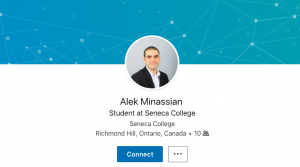 Details on Minassian are also vague beyond the fact that he is 25 years old and is a student at Seneca College of Applied Arts and Technology. Beyond that it is less certain but some of his classmates have spoken about him. Joseph Pham, 25, described Minassian as “socially awkward”. he added: “He kept to himself. He didn’t really talk to anyone.” Another told the Globe and Mail that he believed Minassian had a “significant social or (sic) mental disability”. Yup – mental illness. The seemingly all pervasive factor when muslims carry out vile acts of terror. So convenient for the authorities too. The Mayor of Toronto has lept into action. Does Mr Mayor know something that we don’t? Why would an appeal to diversity and inclusivity be the priority response to what appears to be a terrorist incident? It is being suggested that the alleged culprit, Minassian, is an immigrant from Aleppo, Syria. This would not be a complete surprise as Canadian PM Trudeau basks in the importation of “refugees”. Canada has taken in 25,000 Syrians and boasts about this achievement Whether his origin is Syrian or not the likelihood is that the alleged mass murderer is an immigrant. When eye witnesses reported that the alleged culprit had a “Middle Eastern appearance” liberals swarmed over social media decrying this and insisting that he was “white”. His skin colour is irrelevant but if it proves that if his origins are in the Middle East THEN I am afraid the eye witnesses were 100% correct. When people responded to this terror attack by calling it a terror attack, Liberals took to social media accusing them of being hate mongers. Such is the unhinged mindset of the Left in 2018. They import the seeds of their own destruction and then attack those who put out their folly. Across the West, radical Islam is waging a war and our authorities respond by denying it is even happening. How can we win it? Toronto, a fine city that I have visited several times, is now a hot bed for radical Islam and that seems fine with its Mayor and section of the electorate. When people end up being slaughtered on the sidewalks, that’s just life, and death, in our newly enriched cities. LABOUR: VOTE EARLY, OFTEN AND FOR US!